This weeks just keep flying by faster and faster these days! I know it is hard to believe, but it is already Thankful Thursday again and time share praises for our Might King. This week I am especially thankful for this blog site. I appreciate being able to gather (not in the physical, but spiritual) with other like-minded Christians and share with each other. I not only like writing what God lays on my heart or what I have learned, but I love reading what God is doing all around me. People are dying in other parts of the world for something I have been given so freely. Thank you Lord for providing us all a venue to grow closer to you and closer to our fellow brothers and sisters. How about you? What are your thankful for this week? Don’t be shy…share. I am thankful for life….JESUS is LIFE!!! I am thankful that He is my Shepherd, always and forever. I am thankful for His beautiful and amazing creation which surrounds me every day. I am thankful for His peace which I feel down to my core and is completely beyond my comprehension. I am thankful for the overwhelming blessings He bestows upon me, greater than I can ever imagine, a banquet that brings tears to my eyes. I am thankful for His love, His grace and His mercy that I never deserve but humbly accept and pass along with open hands. Wow, a powerful praise. Thank you for sharing and blessing others. I, too, am thankful for life. I agree with Darlene. 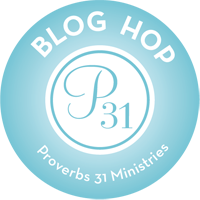 And I also thank God for you, Missy, and for this blog.